-Made of strong, lightweight aluminum, with a satin anodized finish. -Telescoping legs adjust height from 37" to 70". -Adjustable art holders fold out to support artwork or signs. Supports up to 20 lbs. -Special rubberized grips help hold signage in place. 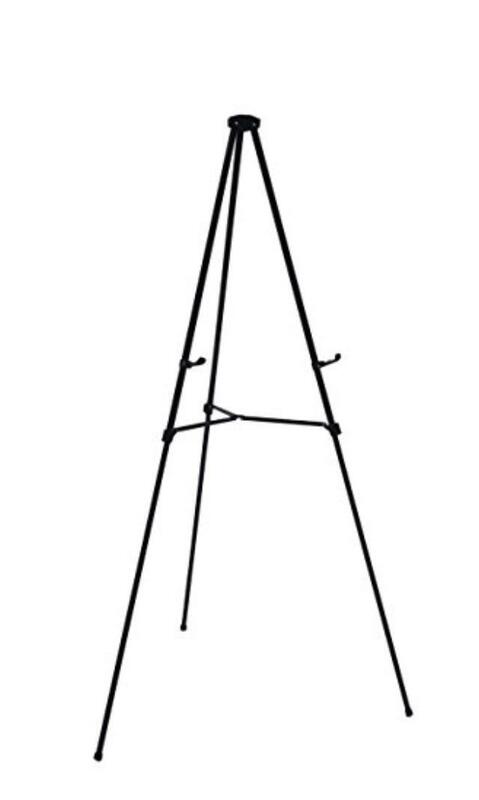 * Please call us for any questions on our easel black aluminum telescoping rentals in Ventura CA, and surrounding metro area.